Addresses: North Downtown above Farmer’s Market. 321 Keawe Street at corner of Mamo Street. Before the modern grocery stores arrived such as Walmart, Target and Safeway, the big grocery stores in town were the two KTAs. 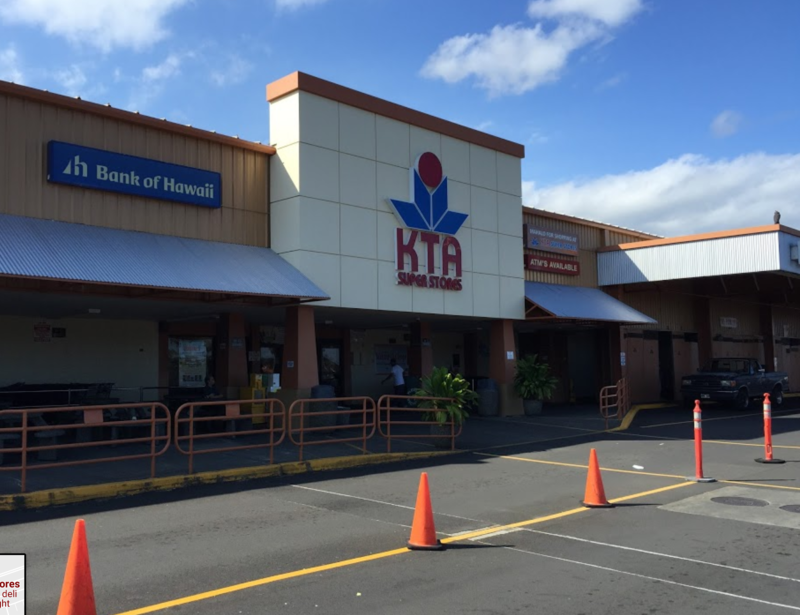 If you want to shop at a large grocery store that is based on the Big Island, visit one of the two KTA grocery stores in town. It feels a little more local and the prices are just the same as Safeway around the corner. You will see that it is more expensive to live on the Island! Good bread is very hard to find. Meat is expensive! I visit the store when I happen to be near it. It is fun to mix it up. I always stop at Walmart for the basics as those prices are the best. For fresh food and meat, the best choices are KTA or Safeway.